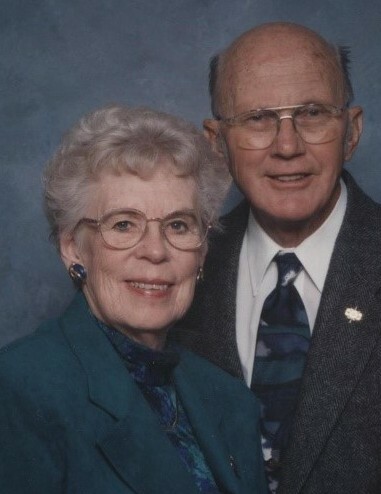 Eileen Dow Smith passed away quietly on April 4, 2019, at the Walton Wood Assisted Living Residence in Cary, NC. She was born on May 13, 1925 in Boston, Mass and married Martin F. Smith on June 8, 1947 in Lynnfield, Mass. They had three children, Stephen, Beverly and Barbara. Martin was in the army so their life included multiple moves in the United States and to Japan and Germany. While living in Durham, New Hampshire, she and Martin were long-time members of the Volunteer Ambulance Corps. Eileen retired from the University of New Hampshire as an Administrative Asst in 1985, and they moved to Fayetteville, NC, in 1987 to be near their children. In Fayetteville, Eileen attended Salem Methodist Church in Eastover and was a long-time volunteer at Highsmith-Rainey Hospital where she was named the hospital’s volunteer of the year. Eileen was pre-deceased by her husband and daughter Barbara. She is survived by her son and his wife Elizabeth of Salt Lake City, UT, her daughter Beverly of Durham, NC, her son-in-law David Kennedy of Garner, NC, two sisters, Barbara Gillis and Priscilla Fraiser; five grandchildren and six great grandchildren. Her courage, strength of character, work ethic and perseverance made her a remarkable role model for her children and friends. She will be remembered most for her love for her family and her welcoming friendship with all who knew her. A graveside service will be held at the Sandhills State Veterans Cemetery in Fort Bragg at 12 noon on Monday, April 15, 2019, where she will be interred with Martin.